JOKER WILD VIDEO POKER CAN BE BEATEN !! 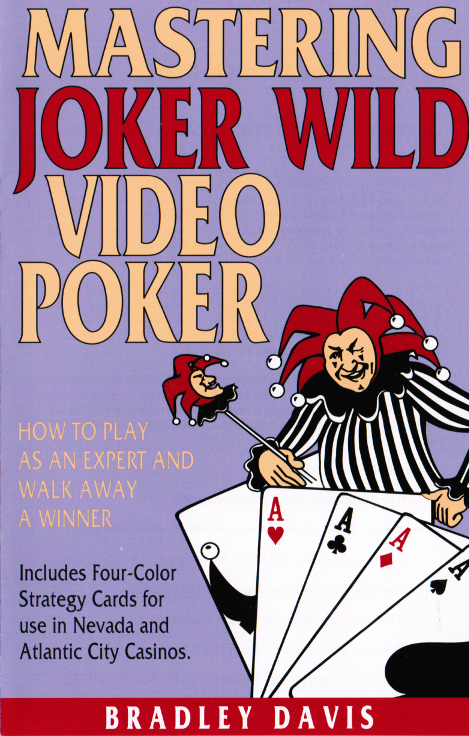 This is the most comprehensive book ever written on Joker Poker (144 pages including strategy cards). It provides complete statistics and expert playing strategies on popular Joker Wild Video Poker games played in land-based and riverboat casinos across the United States. With this book in hand, you'll know the exact long-term and short-term profit potential of virtually any machine you encounter (nineteen different machines analyzed). In addition, the easy-to-use four-color strategy cards let you make playing decisions with deadly accuracy - no guessing, no memorizing, just expert play. Intended for the recreational gamer, this book moves from elementary concepts to advanced classification techniques in eight clearly written chapters. Proper money management and ways to enhance playing enjoyment are other important subjects given thorough treatment.